I started my study of art at the local community college and finished my BA in Fine Art at Loyola Marymount University in Los Angeles in 1978. I work as a graphic designer and continued to study fine art at any opportunity. My enjoyment and use of color and design in my work pushes me to continue my studies. To capture light and color to depict my subjects is quite exciting and I hope you enjoy my work as it organizes, builds and molds what I see by light and color. I am drawn to painting outdoors in natural light. The play of color and shadow as light changes with unexpected chances are also what draws me. 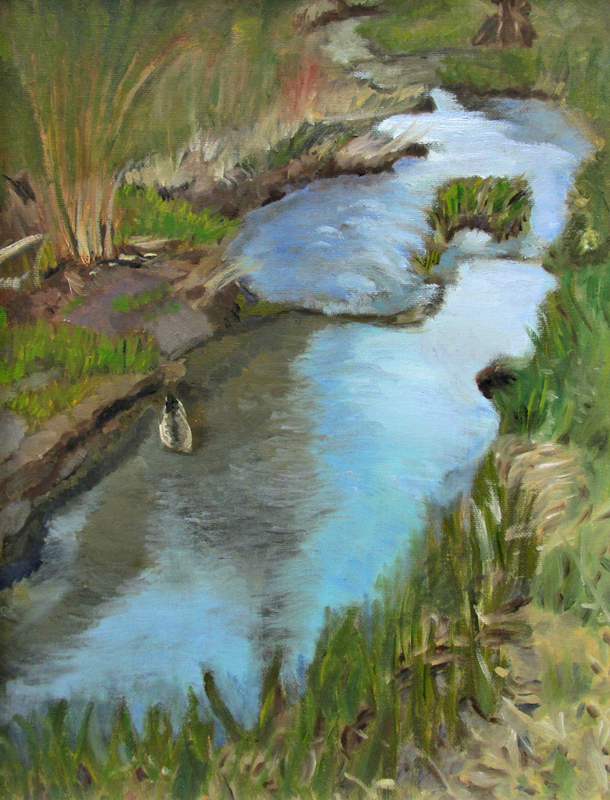 Plein Aire is uncontrolled and offers me the opportunity to take chances as a painter. I am always inspired by the natural environment and prefer nature to cityscapes. Recording a progressive moment in time using light or lack of and its effects on color is quite exciting. My passion for art is not only focused on oil painting to depict the natural environment but also the needle arts. I continue my study with The Royal School of Needlework.